Don’t we all love broadcasting our opinions? And don’t you love it, even more, when a random vote of ours contributes to a verdict? And if it’s you who is providing a platform for others to voice their opinion on, you can be sure as hell that you would be receiving numbers in spades (particularly when your site already has a following as word of mouth is going to further inflate it). Having a WordPress site embedded with poll plugins can certainly do wonders for your business as it helps you to get instant opinions, ratings, and polls from your visitors, thus powering you to add a touch of interactivity to your content. The primary objective behind integrating poll plugins into a WordPress based website is to make the users feel more engaged with your website and gain an insight into their views and opinions. An easy polling system enhances the total user’s experience with the website and makes them feel as if they are a crucial part it. So, here’s a list of some best-of-the-bread polling plugins which can be used that let you create polls and know your visitors even better. The Responsive Poll Plugin is a great tool to generate polls to your WordPress site with ease. The plugin displays all the results in fully customisable HTML5 animated charts. 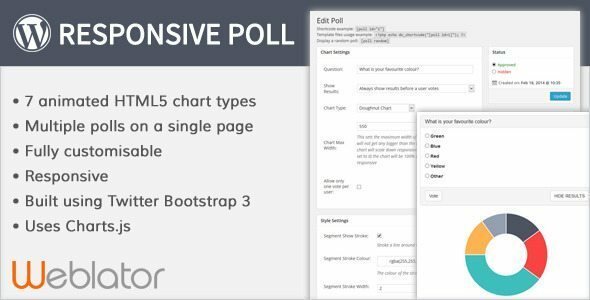 The plugin also allows displaying multiple polls on a single page. Polldaddy is an amazing plugin for WordPress that allows you to create and manage surveys, polls, and ratings within your WordPress dashboard. The plugin gives the facility to choose polls from 20 different styles and views them clearly in the sequence in which they appear. 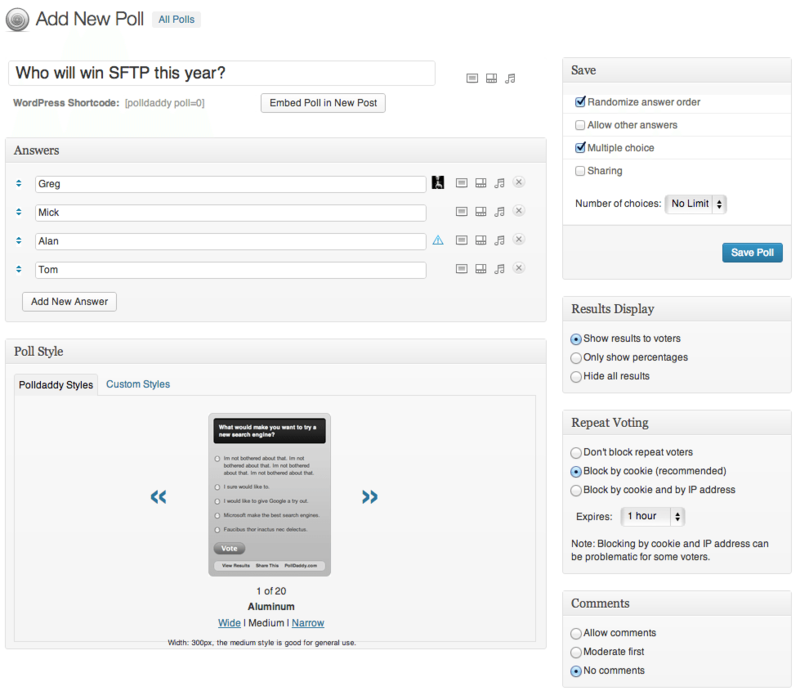 Fully customizable, users can create multiple choice polls, select the option whether to display their poll or hide it. 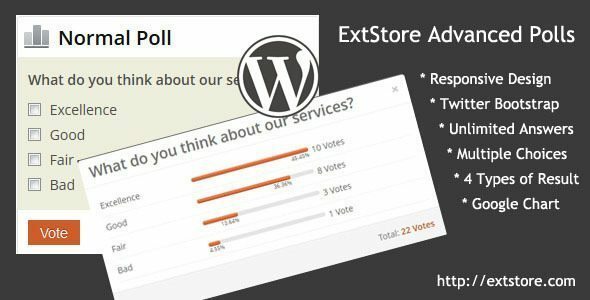 Advanced Polls from Exstore is a fantastic plugin that lets you create polls and display the results in comprehensive graphical figures over well-designed pop-up windows. Users can create unlimited polls, and manage them effectively. WP-Polls adds an Ajax poll system to your WordPress site and it’s extremely customizable. The plugin offers you a host of features to make sure that all the polls run and manage just the way you want. Users have the choice to select questions, answers, along with the choice to select multiple answers. You can also restrict the voting as per your choice. WordPress Social Polling Plugin works in tandem with the existing WordPress Easy Polls. The plugin adds Facebook Social Media sharing and also keeps a firm control over the voting on your polls via Facebook API, letting users create polls through their Facebook accounts. This way you can gauge your visitor’s opinion. The plugin is a great way to garner the opinions of your people with ease. The plugin makes polling convenient and is fully customization. 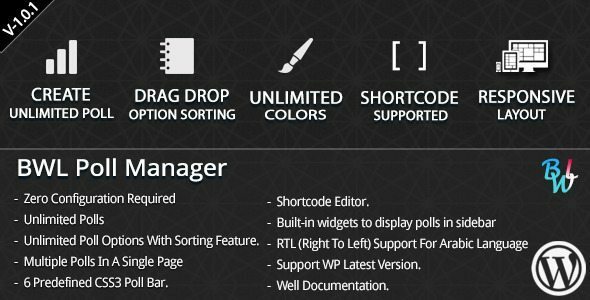 The WordPress Pro Poll system is an easy way to create and manage polls.This feature-rich plugin utilizes a very good approach to make your polls appear good and clean on your website. 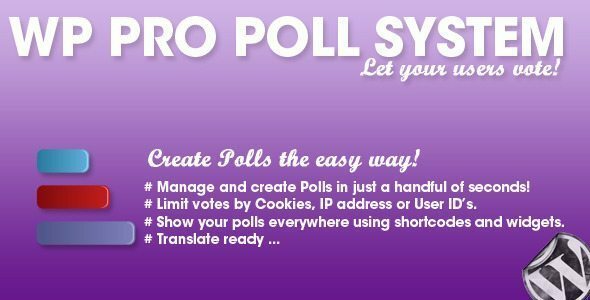 The plugin also allows you to set the limit of your polls by Cookies, User’s ID or IP address. Social Polls plugin for WordPress provides an easy and powerful way to add social polling to your website. It also helps you to discover opinions, enhance users engagement, increase time-on-site, and page shares. Yopp Poll is a straightforward, easy-to-use plugin that helps you to conduct polls on your website. The plugin is powerful and facilitates fuss-free scheduling of posts, result management and privacy controls. BWL Poll Manager provides you a great way to create a custom poll system on your website. Users can create an unlimited number of polls by using interactive options and use them in your site. Creating polls and integrating them into your website can do a lot of difference, as it makes your users feel free to provide their opinions, add ratings and thus provides you an opportunity to know them better. So, which plugin are you going to choose?